Throw your girlfriend a Kate Spade Birthday Party! 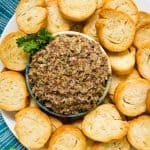 These easy ideas make such a fun birthday party, inspired by Kate Spade’s black and white and pink designs. 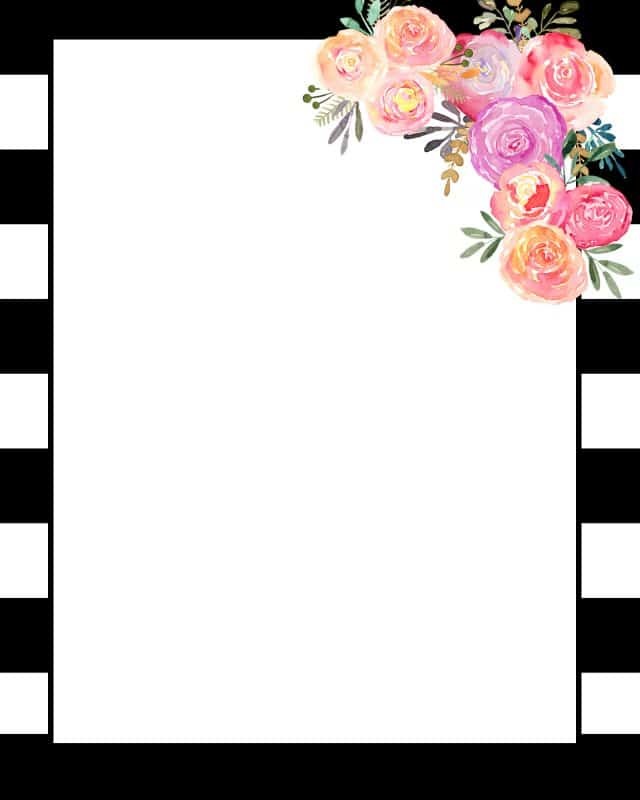 Free printables, guest book ideas, food ideas, and decor, all for a Kate Spade Birthday Party! 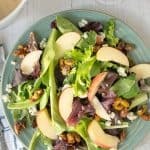 I am obsessed with Kate Spade, and not just her handbags. I love her designs and colors and pretty much everything she makes and sells. Even if you’re not as obsessed with Kate Spade as I am, her chic designs are perfect for a girly birthday party. 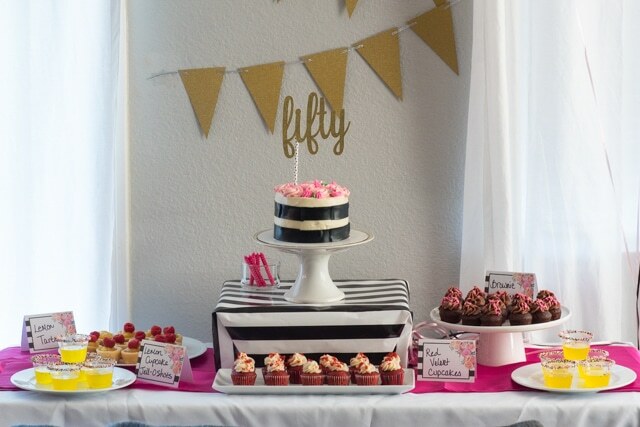 Whether you’re 13 or 50, a Kate Spade inspired birthday party is fun to plan and even more fun to attend. This post has all the ideas you need to throw a Kate Spade Party, from decorations, dessert ideas, and free printables too! I threw this party for a friend’s 50th birthday this past fall, but I would have loved it for my 30th or 40th, and my daughter even loves the color scheme and she’s only 13! Googling Kate Spade gives you lots of black and white and pink ideas. 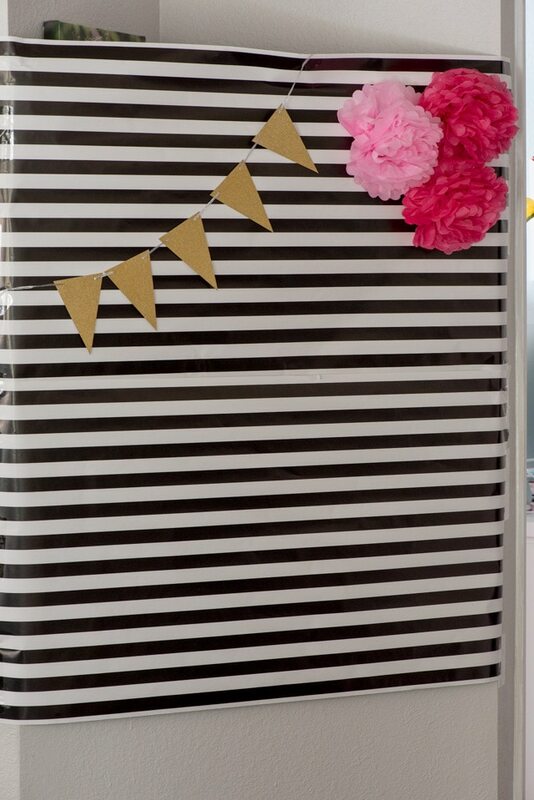 Her signature look is black and white stripe with hot pink, so that’s what we went with for our party decorations. We accented with gold because the colors pop and go together well. 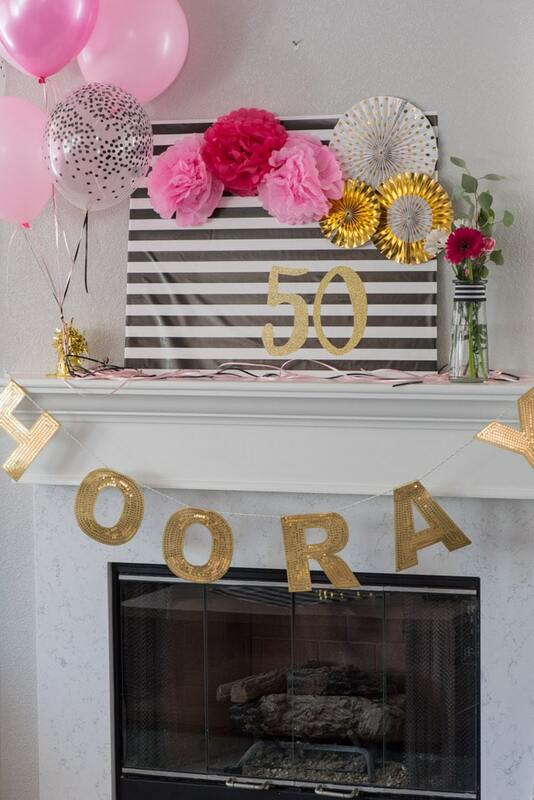 A mantle sign made of foam core poster board and black and white wrapping paper was accented with balloons and a gold HOORAY sign. The dessert table was full of mini bites inspired by the birthday girl. Lemon Tarts and lemon cake jello shots, accompanied by brownie bites and red velvet cake. The cake was decorated with sheets of black sugar decoration and topped with pink and hot pink flowers. I’m not a cake decorator but it looked good anyway; a very Kate Spade cake, topped with a gold “fifty”. The birthday girl loves champagne, so the favors were glasses inscribed with her name. 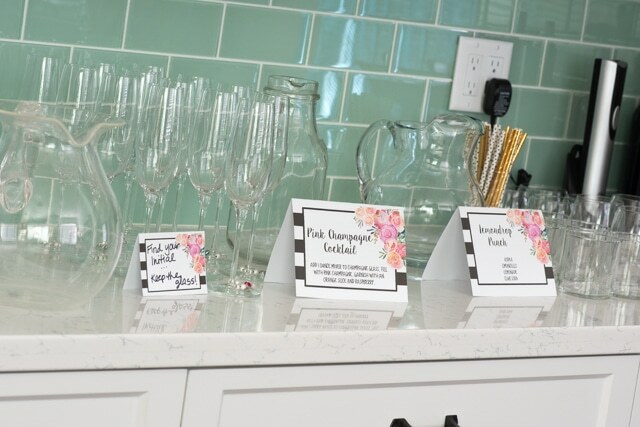 The cocktails were labeled with Kate Spade inspired table tents, a free printable I have for you! Flowers were easy, just black and white ribbon around a vase with white and hot pink flowers I found at the grocery store. 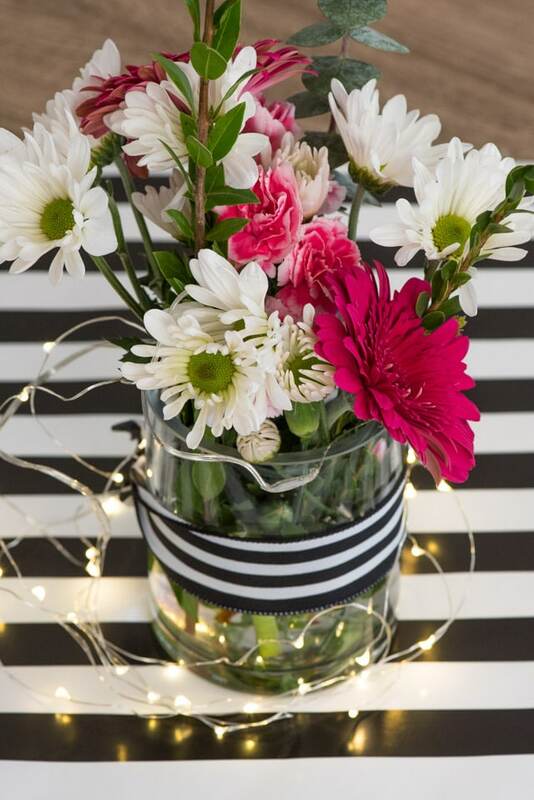 Fairy lights make the vases pop on top of more black and white striped wrapping paper. No party is complete without a photo booth! 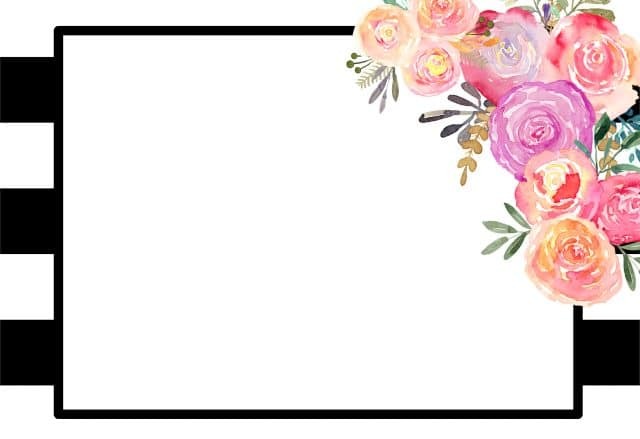 I simply wrapped a wall with wrapping paper and added some Kate Spade flowers. This was the birthday girl’s favorite: instead of a guest book we made a Guest BOTTLE. 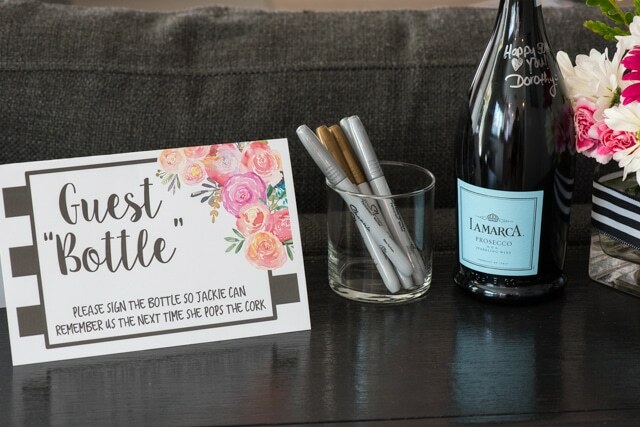 Using silver sharpies, we each signed a bottle of prosecco for her to take home. 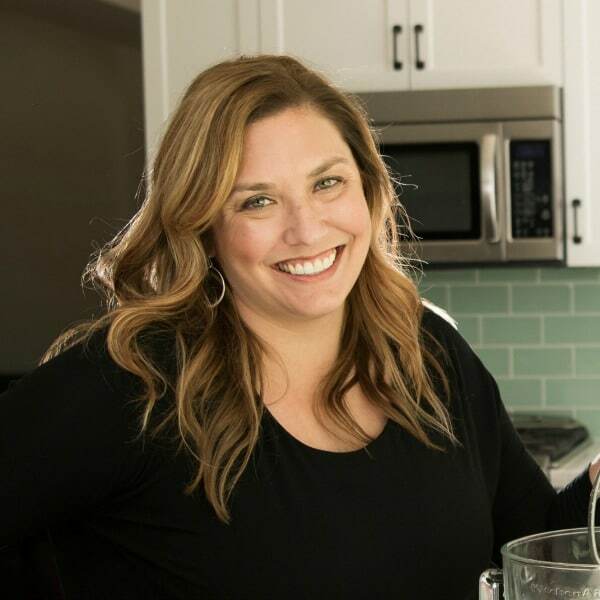 I love having signs around the house during parties too, directing guests to the food or bathroom, and welcoming them on the front door.